When businesses are able to reach the right audiences with the right ads, it creates a better experience for people on Facebook. In order for this to work effectively we must ensure our advertising solutions are simple to use, that targeting is done responsibly and that people understand why they see specific ads. That's why, starting today, we're announcing new requirements for Custom Audiences that are built from a customer file, focused on additional accountability and transparency. Custom Audiences helps advertisers reach audiences more likely to have a relationship with their business. 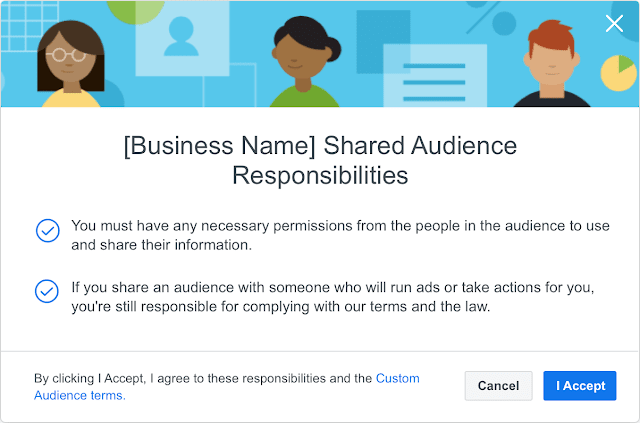 When businesses upload a list to Facebook, sometimes the information originated from one of their partners, and we want to make that clearer to people.